ON 24 March, two days before the March for the Alternative, NUJ journalist Chris Wheal noticed a table in the budget Red Book showing that families in every single income bracket would be around £400 worse off from the Budget. Chris, who writes regular updates for the financial media, wanted the exact figures. So he called the Treasury for verification….and they refused point blank to give them. Their reason? They wanted to be ‘transparent’. He recorded the call. Click here to listen to it. Chris wrote to NUJ members: “Yesterday I spotted a table in the budget Red Book showing the average family would be about £400 worse off from the budget. Every single income bracket in the country would be worse off. “These are government produced figures looking at the impact of direct taxes (income tax), indirect tax (VAT, fuel duty, duty on fags and booze) and benefits (Child benefit etc). I asked the Treasury for the exact figures behind the graph. The Treasury admits they have those figures but will not send them out. “I was so incensed I called back to double check and recorded the call. 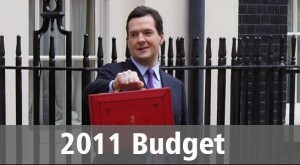 “The Treasury clearly wants to delay revealing the actual numbers until everyone has forgotten about the budget. And it makes it even more important to stand up and say to the Government: We demand better. Don’t spin the figures, tell the truth. Which is exactly what the NUJ and hundreds of thousands of others will be doing on 26 March at the March for the Alternative. There are Facebook and Twitter links on the audioboo page for anyone who wants to join all the people to have posted and tweeted.